I've had my Accuquilt Go! for several months now. I was lucky enough to win a blog giveaway that included the Go! as well as 3 dies of my choice. (See my review of the Go! here.) Well this was a very tough decision since there are over 50 dies to choose from! I ended up choosing 2 strip dies and the Double Wedding Ring die. This may sound completely selfish but I mainly picked my dies according to price. There is just no way that I can afford to pay $80 per die. So I choose the more expensive ones that I wanted knowing that it would be easier for me to spend $30-$40 once in a while on some of the smaller dies. I was really torn between picking the Double Wedding Ring die ($89) and the Rob Peter to Pay Paul die ($89.) In the end the Wedding Ring die won out because I really love that design and I know that some day I want to make a Double Wedding ring quilt and I can't imagine hand cutting all of those tiny pieces. As I was looking at the 2 dies side by side on my computer I had a wild and crazy idea that I could use the double Wedding Ring die to re-create the Rob Peter design! Even though I recently received the Rob Peter die from Accuquilt I still wanted to test out my theory. So last night I pulled out my Wedding Ring Die and put my theory to the test. 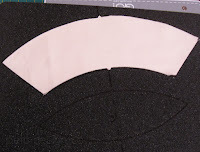 Here I was trying out a few different methods of sewing the arcs to the center piece. I tried pinning and also this method of not pinning. I think the non-pinning method will work better with practice. I also have the curve master foot (which I couldn't find at the time) that essentially is the same as the non-pinning method but with the help of a special foot. This is the reason some of the corners are off. 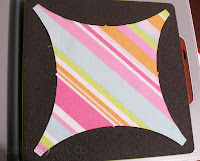 For this method to work you will need to be accurate in your corners or it will not look right in your finished quilt. 4. 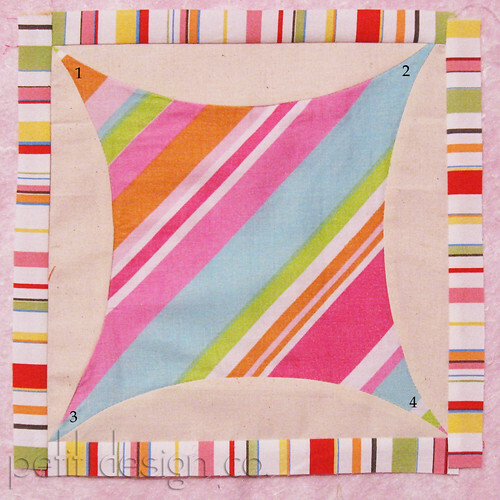 You will now trim your block to 9" centering the center fabric (stripes) within the 9" square. 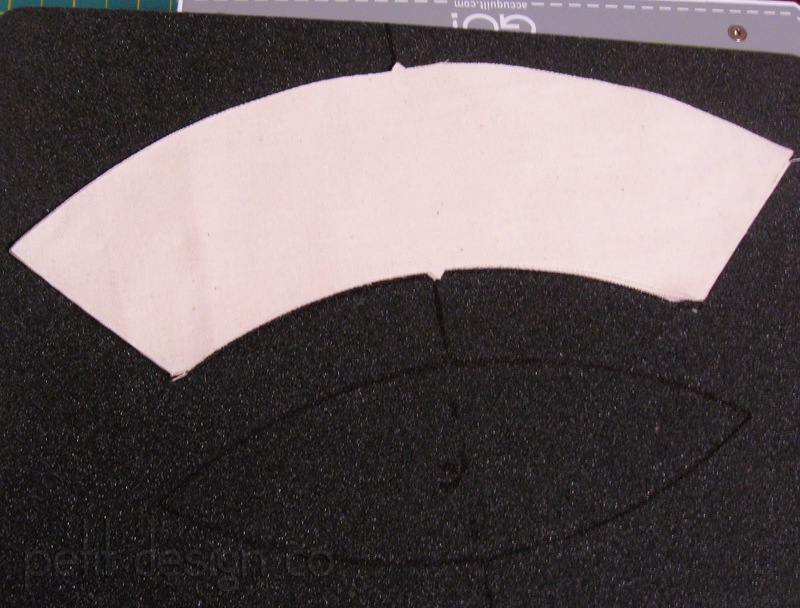 You basically have to eyeball this and 9" is enough to give you a 1/4" seam allowance at each of the 4 corners. Here I've added a small border to the block so that you can see that having your corners match will be very important! As you can see corners 1 and 4 are really nice and perfect. Corner 2 is the worst and corner 3 is decent. 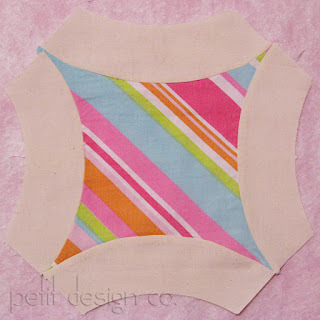 I would suggest finding a method that gives you accurate piecing results for step 3 so that your blocks will turn out gorgeous! Just to give you an idea of what the finished quilt would look like I whipped up these 2 quilt tops through the magic of Photoshop. My daughter uses photo shop, but I never dreamed of making use of it like a design wall - what a terrific idea! Thank you very much!! 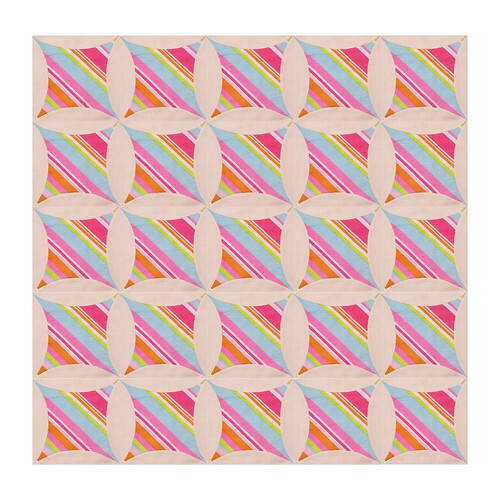 that's the first thing I've ever seen that makes me want to own an accuquilt! So cute and so easy! I'd love it if you link up to my Manic Monday linky party tomorrow! Beautiful quilt and great tutorial too. Inspirational. I now want to get this die. Oh, your quilt is going to be gorgeous! I can't wait to see the real thing. I obviously need an Accuquilt! Obviously! Hi there...I couldn't find your email address anywhere? I chose your blog for The Stylish Blogger Award...no pressure and no problem if you don't want to take part...I love your blog, thanks for the inspiration!! Love this idea!!! Looks amazing!! 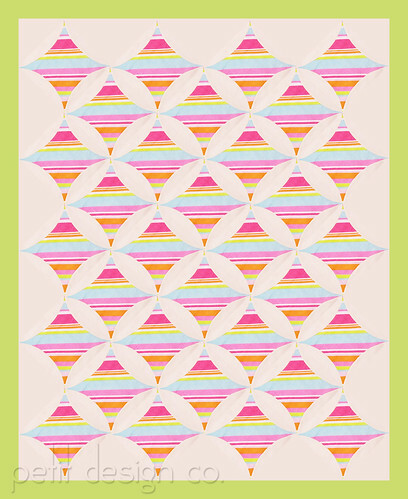 Thanks for sharing this cute quilt. I will try to create my own design for my kids.